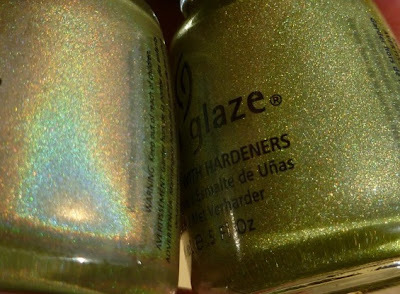 After 2 long gone limited editions of holographic nail polishes, Tronica is much-anticipated and many of us have been eager to see what it would be like in real life. You might have already read my previous post about the China Glaze Tronica collection here, but since they are have just arrived at Cosmoprof and Armstrong McCall, I thought I'd give you a quick overview of the Tronica and OMG collections. I asked permission to CharmedLindsay on MUA, an amazing NB'er, to let me share with you her full sun swatches and she generously agreed . Thanks to her, we now have a much better vision of the Tronica collection. Just like the OMGs, the Tronicas have fine and smooth holographic particles but their holo isn't "linear", it's more of a "scattered" type holo, like the Kaleidoscopes. Also side-by-side bottle comparisons do show some very, very similar shades with the OMGs, much more similar than I had anticipated. ﻿ ﻿﻿So, it's obvious from the pictures that the holo effect on the Tronicas is way more washed-out than the OMGs. What's the point in releasing a limited edition, limited retailing, collection, with so many "big" announcements through your blog, twitter, facebook if it's only to come up with dull dupey colors ??? 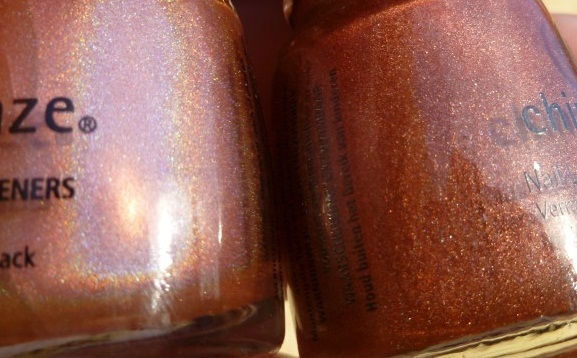 You can't mess with holos... really, so many of us had our hopes up and were already planning on buying them all ! Of course the Tronicas are nice per se but really I was expecting so much more for 2011 than this, at least as good as the 2008 OMG collection. Anyway, I'd really like to thank again CharmedLindsay on MUA for those swathces, for her beautifull nails and flawless application and most of all for sharing her pics with us. Also if you happen to have some OMGs you'd like to sell or swap, I'm still missing a few so feel free to drop me an email. I'm not sure about this collection, but I think Gamer Glam is interesting. Will be waiting for good swatches. Yeah, sorry girls, I don't have anything better for now. Hey Missy! Thanks for your great review. I have all but BFF and L8R G8R of the OMG collex and am probably gonna check out a few of these, anyway. But man, you're right - the formula is definitely not the same. 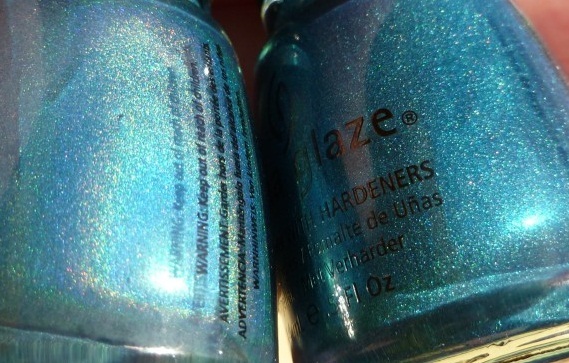 well, i'm not big on holos anyway. so i guess i am thankful it's nothing that awesome because i'm broke, haha. Ok, now I saw the swatches too. I must say I agree with you. The colours are too close, and I wish they did a black/gray holo and at least a different type of green and purple, since they did already the same shades. And I think a killer dark blue holo would be legendary. Oh well. Since I don't have all of OMGs that I want I'll grab Tronica. I think Techo Teal and Gamer Glam still look awesome. @Ulmiel @Lois I totally agree with you, soooo disappointed right now, they're nice but don't compare to the OMGs. As for the colors, I really wanted something different, like black, dark green and dark blue, I still had hopes when I wrote the first post with the promo pics and the 4 nps we couldn't see but I guess I'll have to make do with the Catherine Arley's I bought yesterday (42, yay!!! ), I'll talk to you girls about them later. 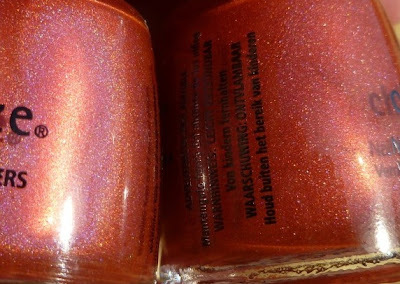 Oh I was hoping this would be sort of a re-release of the OMG collection so I'm kinda disappointed that the holo effect is not as strong. But, the colors are really quite similar. 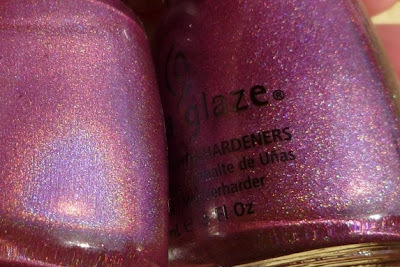 Here's the link if you wanna check the post http://portaldasunhas.wordpress.com/2011/01/03/colecao-tronica-china-glaze/ (it's in Portuguese cause I'm brazilian). Oh wow je m'attendais vraiment pas à ça. donc vaut mieux acheter des omg. Hi Sam! I was googling about the comparisson Tronica x OMG! and found your blog. Loved it! 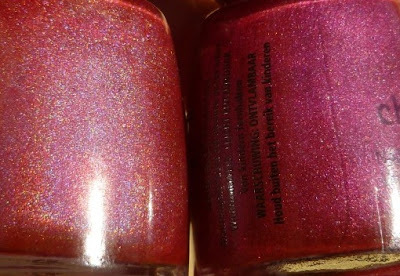 Well, I have both collections and I have to say that Tronica applies much better then the OMG polishes but the holo effect is much more dull. The colors are still gorgeous, though. I'm not sure I needed both Tronica *and* OMG but I have them both and I love them both. I kind of enjoy the subtle holo from the Tronica polishes. 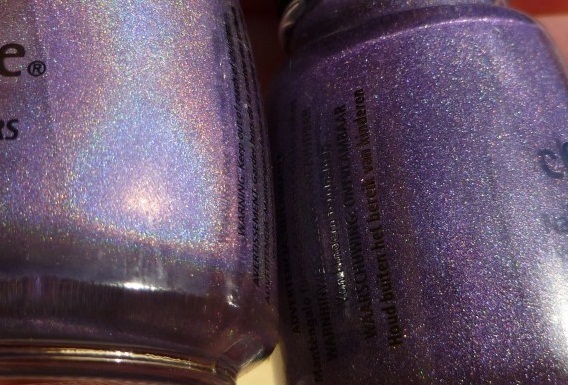 I'm wearing Gamer Glam right now (which is gorgeous, btw) and in some lights it just looks like a pretty lavender and in other lights it has these beautiful holo flashes. You know how people love "secret shimmers"? Well, these are kind of "secret holos". 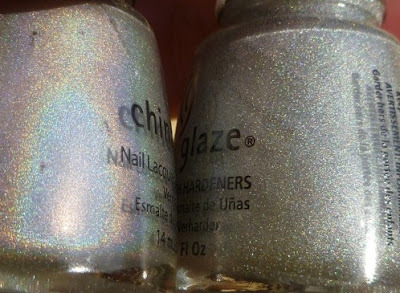 I think Hologram and Cyberspace have the most obvious holo effect. 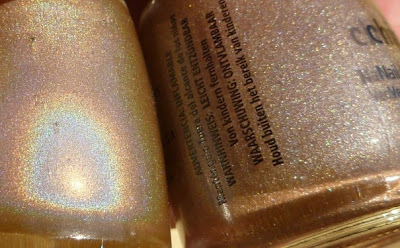 I guess now I'll be getting some pretty consolation polishes with my money..
@Tracie "secret holo! ", you should totally copyright that, haha. @Marcela @Patricia I'm less categorical now than when I wrote the post. I guess the Tronicas don't stand a chance if you compare them to the OMGs. 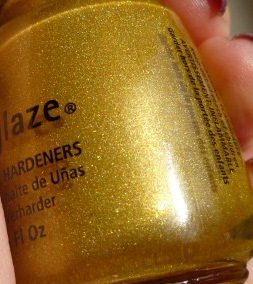 That's where, I think, China Glaze made a mistake : we didn't have enough info and all started to think they'd be waaayyyy better. So of course many of us were disppointed big time. I know people are disappointed it, but I really desperately want them all. your pics are great and i'm pretty much dying to get my hands on these. unfortunately, I don't have a cosmoprof, my sallys won't have them til march/april, and i'm broke :-( but I know I shall find a way! Hello, I am French and living in France found its Tronica here have you near you can you help me in making a transaction with me?